Our Calendar lists professional meetings, press conferences, awards/fellowships/workshops deadlines and more. 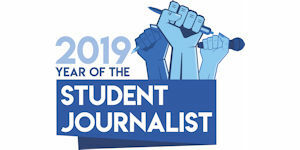 Apr 21, 2019 deadline: The International Women’s Media Foundation offers grants supporting journalism produced by and about women. The Reporting Grants for Women’s Stories, averaging $5,000 USD, are open to professional journalists with three or more years' experience. Save the date! Join SEJ at the CSU Denver Center, 3:30-6:30 p.m. on May 3, 2019, for this robust journalists' panel and public discussion on Colorado's challenges and opportunities regarding droughts, wildfires, climate change, energy production, decarbonization and more. SEJ is the premier North American organization for journalists who cover environment-related issues on all media platforms. SEJ’s Board of Directors is inviting inquiries, letters of intent and proposals from prospective hosts and sponsors for conference events in 2021 and 2022. SEJ seeks letters of intent to be submitted by April 26, 2019. 04/17/2019 – The tale of a failing nation’s climate woes is revealed in a cache of scientific notes hidden in a London attic after their author goes missing. The gripping mystery was unraveled with award-winning skill by journalist Laura Heaton, in our latest “Inside Story” Q&A. Read on and find out the story’s significance for climate adaptation. 04/10/2019 – What makes styrofoam good — like its insulating, shock-absorbing qualities that make it suitable for hot coffee cups, coolers, helmets and packing material — is also what makes it bad … for the environment, that is. This month’s Backgrounder looks at the technical and environmental aspects of this long-troubling plastic pollution source. 04/10/2019 – The first state ban on styrofoam food containers makes this a good time to see how things stand with styrofoam in your area, as the controversial plastic draws negative attention for overflowing landfills, causing litter and polluting waters. More, plus story ideas and reporting resources, in this week’s TipSheet. Enjoy our selection of quotes celebrating journalism and free speech. Submit yours! Click here. "Warren, In Utah, Pledges Changes In National-Monument Policy"
"Inslee Calls On DNC To Hold Debate Focused On Climate Change"
SEJ's mission is to strengthen coverage of environment, energy, health and climate news, by supporting the journalists who report that news. 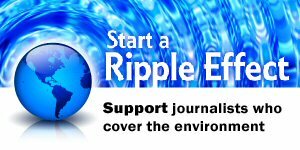 The benefits of joining include: access to grants for environmental reporting; mentoring by experienced journalists; and members-only e-mailing lists for sharing professional tips, news, and information. SEJ members meet and learn face-to-face from fellow members, other media professionals and topic experts, at our annual conference and volunteer-organized regional gatherings. Find out what SEJ can do for you. SEJ's Board of Directors is actively seeking donations from individuals from all walks of life.